Jennifer Rojas - Leigh Hilton P.L.L.C. 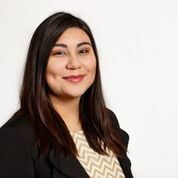 Jennifer Rojas is a Legal Assistant for Leigh Hilton, PLLC and has been with the firm since October 2018. Jennifer is born and raised in the DFW area and started working with Leigh Hilton, PLLC in October of 2018. She enjoys reading and writing in her down time and enjoys the works of Edgar Allan Poe the most. Jennifer loves being able to gain new experiences that help her grow and learn as an individual. What Jennifer enjoys the most about working here at Leigh Hilton, PLLC is that is able to work with great individuals who are able to help out the clients and the team and that she gets to make an impact on someone’s life for the better.